Pocket Microscope: Provided with nickel-plated draw tube, standard eyepiece, stage and plane mirror. 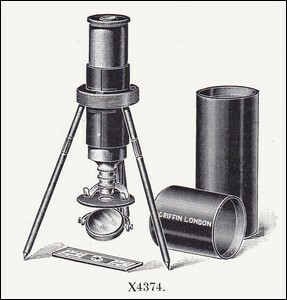 The compound objective gives three powers of magnification from 20 to 200. 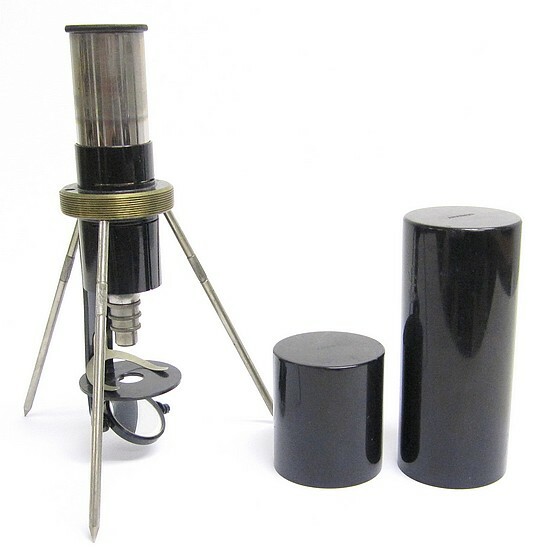 The instrument is fitted with a removable tripod, the whole screwing into an oxidized brass case 5 1/2 in. long, 1 1/2 in. diam. Particularly suited for Nature Study.